The publication fee for online monthly journal is Rs 1150 for single author, Rs 1550 for multiple authors. 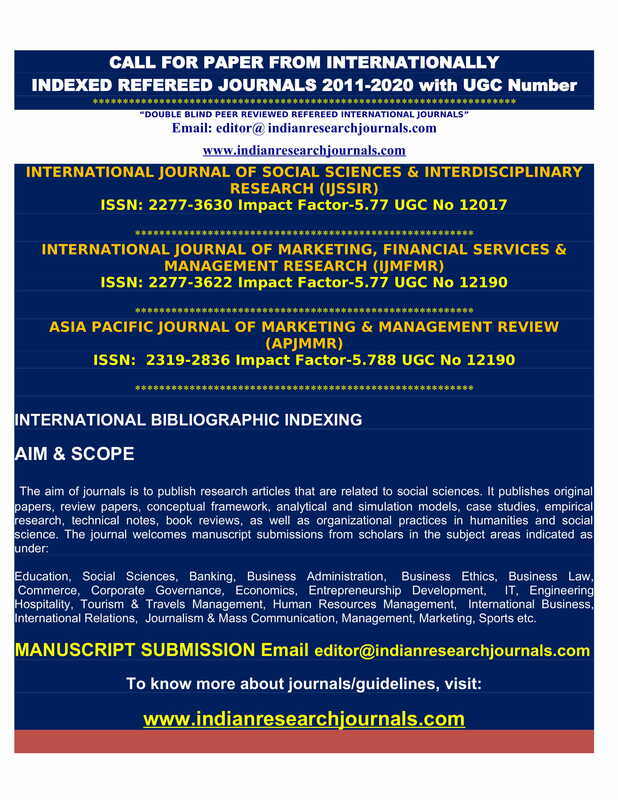 The publication fee for accepted article in print journal (quarterly publication) is Rs 2000 plus Rs 500 additional for each co-author. Publication fee for online monthly journal is USD 60 for single author paper; and additional USD 40 for each co-author by online fund transfer/telegraphic transfer. The publication fee for accepted article in print journal (quarterly publication) is USD 100 plus USD 30 additional for each co-author.